Custom cabinetry designed for your home and lifestyle. With over 45 years of experience, you can depend on us to provide the finest quality products, creative custom designs, and legendary service, all at a competitive pricing. 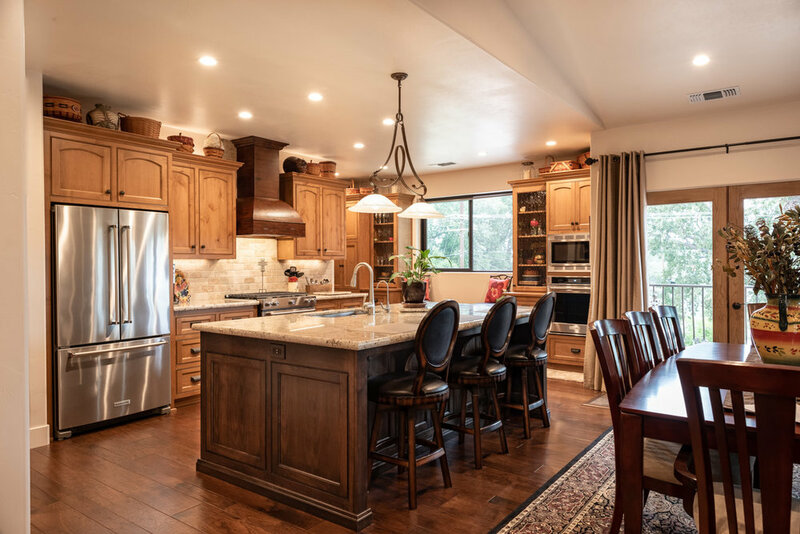 Our staff of journeymen Cabinet Makers and Designers offer years of expertise, allowing us to provide just about any type of cabinetry imaginable. Whether you're designing a new home, planning a commercial space for your business, or in the process of a remodel, we'd love to play a part in making your vision a reality. We'll treat your project like it's our own. Our top priority is to consistently provide high quality products and service while maintaining high professional standards and accountability to the public. Here at Sligh Cabinets, Inc. we are committed to continuously developing new creative design ideas and implementing the latest in state-of-the art machinery & equipment. We use only the finest quality materials and wood types available, combined with state-of-the-art custom finishes. With a variety of styles to choose from, we can build just about any door style that you can imagine. We’ve completed a variety of both residential and commercial cabinetry projects. For a beautiful stone or granite alternative, we recommend Cambria® Quartz and Dupont™ Corian® Quartz countertops. For the most practical choice, we offer a variety of beautiful Dupont™ Corian® countertop designs for their easy maintenance and reasonable price point. We offer complimentary design and estimates. The best way to start this process is to visit the showroom and see our products in person. Using a floor plan or dimensions of your space, our staff will help you make the design choices required to start your project estimate. We bid our custom cabinetry and countertop projects with delivery & installation included. Since our products are custom-built, they often require specialty installation. We want to ensure your cabinet design and counters are the perfect fit and best quality, from start to finish.